You are here: Home > Man Stabbed To Death On Somerset Rd, Green Point! Man Stabbed To Death On Somerset Rd, Green Point! I was watching a movie with @darrenblasich at my mates place, Eclipse in Green Point this evening. We left about 45 minutes ago only to see police vans and bunting across the road from @HudsonsBurgers on Somerset Rd. At first we looked from the balcony and assumed it was just a simple road bock. But once we got a closer look, we noticed the bunting and after speaking to one of the officers, found out that a man had been stabbed and killed. It is said that 2 men got into an altercation, after which one stabbed the other. The officer told us that the man that was stabbed suffered some serious injuries and unfortunately did not make it. My Blackberry was dead and therefore I was not able to get any interviews or pictures. More importantly though, it infuriates me to see this happening on the same fan mile that hosted the planets biggest footballing event not even a year ago. I thought we were past the hectic crime in this so called revived area, but obviously we still have a long, long way to go to eradicate crimes like these! I am sure IOL or News 24 will have the full story in the morning and I will try and post the link before my job interview at 10m. Stay safe people and look after yourselves! HAHA awe. Pity had no camera it was deep! This kinda crime/violence hppens behind closed doors too! I don’t think this one incident should be any reflection on the crime rate in this area! 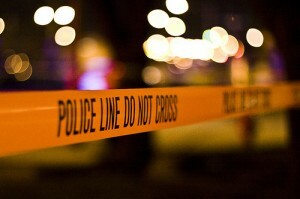 Crimes are comitted everyone day, this act of violence is not a common occurance! Edward street has had a man hung in the parking lot, another man shot and many stabbed! There is a reason behind everything… Call it natural selection perhaps?! I live 1 rd up from somerset road, I will not feel any more threatened! Yeah, just that the council go on about how Green Point is a revived area. It looked like it was, until now that I walk outside the flats and a man has been stabbed to death, while ppl accross the rd at Hudsons just carry on eating and enjoying their beers…I am not worried about small muggings etc, but a brutal stabbing right where there were so many people and witnesses is sif. Were these 2 men decent, or the local street bums??? Apparently it was a fight between 2 car guards…The police were very subtle about what they told us so only found that out from one of my Twitter followers late last night as he works near the venue. Another chick walked out of a restaurant nearby only to see a dead man laying by her car door and cops surrounding the place! Thanks for you comments Maghan, appreciate it. What I don’t get is why this has anything to do with the Fan Walk? Oke dies, let’s try and link it with a big event 11 months ago. Pathetic. And if you honestly (honestly) thought that we were “past the hectic crime in this area”, you really are clueless about the city you take your name from. My man, If you didn’t know Ajax Cape Town are playing the league decider at Cape Town Stadium on Saturday only metres from where this occured. Do you think it is a good reflection on the area which is hosting the event which they chose to move from Newlands in an attempt to get more fans? I realise this happens all over Cape Town, but ppl pay top rates in these urban hubs to move away from murders and stabbings occuring right on their door step! I brought up the fan walk simply because it will be utilised as one this Saturday again…Therefore it is definitely relevant! Thanks for the comment though, appreciate it whether positive or negative. If you are a Cape Town resident you would know that the area used to be alot more dingy and crime ridden. Good to see it is not happening so often anymore, but an incident like this has not happened in a while, right outside many shops and restaurants where ppl are enjoying meals with their families! I think you are taking this out of context. This was a fight between 2 people that ended up with a fatality. This happens EVERYWHERE, not just in Cape Town. IF this was a robbery where he was stabbed for his cellphone or shoes then sure, bleat about the crime problems but this is not something that the usual crime preventions measures could have avoided. Shot Simon, as I said I would try find out more as the cops did not want to tell us too much about the incident, please view my Twitter timeline as a few readers have already highlighted that. I had a job interview this morning so hopefully you guys got up to date on IOL or News24 if they even posted anything. I agree with your point, but the city employ hundreds of CCID security members which are strategically placed to prevent anything from fights, to murders. Just a pity to walk out the flat and see someone laying dead, on the same ground where thousands of fans will be walking through this Saturday as Ajax look to win their first PSL title at Cape Town Stadium. Thanks for your input!